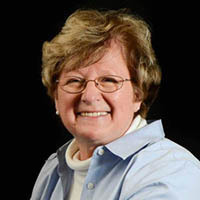 Glenda Cowden Thomas, 73, of Riner, Va., was called away on Wednesday, March 27, 2019, to join that Heavenly chorus. She was born in 1945 to the late Thomas and Anna Mae Cowden in Jonesville, Va.
Glenda was married to Donald William Thomas in 1967 and they spent 51 wonderful years together. They have two children. Her son, Nathan William Thomas and his wife, Christen Thomas. She is also survived by her daughter Christa Dawn Thomas Phillips and her husband Brian Phillips. Glenda had three grandchildren that were the light of her life, Jonathan Phillips, Matthew Phillips and Marley Thomas. She is also survived by an extensive list of family, friends that have added to the story of her life. As a loving wife, mother and grandmother, Glenda spent her life selflessly caring for her family. She cared for everyone, often showing her affection with her excellent culinary skills. Glenda believed that there was no problem that could not be solved by a good hot meal and shared many around her table with family and friends. When not spending time with family and friends, she made a difference in the lives of her clients at Preferred Benefits, which she started in 1992. Her sincere and personal touch of compassion was truly felt by all. The family would personally like to thank Dr. Mark Currie and the entire infusion staff. We would also like to thank Dr. John Rogers and the entire radiation staff at Lewis Gale Medical Center in Salem, Va. Duke University also provided excellent care during her illness. Funeral Services will be conducted at 2 p.m. on Saturday, March 30, 2019, at Oakey’s East Chapel, 5188 Cloverdale Road, Roanoke, Va. Interment will follow at 5 p.m. on Saturday at Sunset Cemetery in Christiansburg, Va. The family will receive friends from 6 until 8 p.m. on Friday, March 29, 2019, at Oakey’s East Chapel. In lieu of flowers, the family requests that donations be made in the name of her memory to the Multiple Myeloma Research Foundation at www.themmrf.org. Online condolences may be expressed at www.oakeys.com.